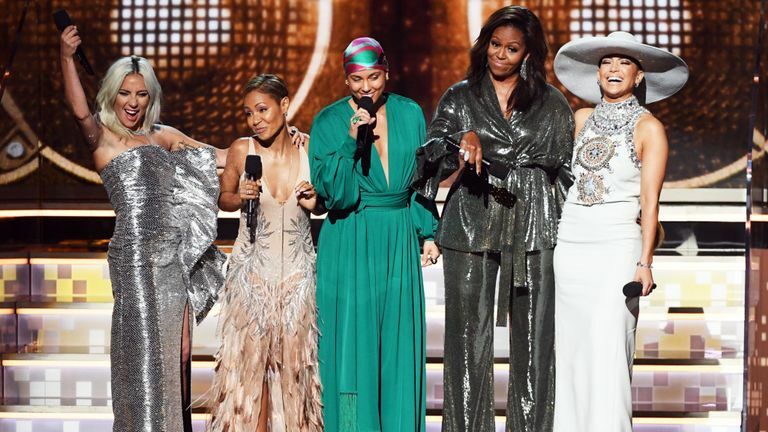 Michelle Obama made a surprise appearance, arriving on stage alongside Lady Gaga, Jada Pinkett Smith, Alicia Keys and Jennifer Lopez. Childish Gambino won best song of the year for This Is America – marking the first time a rap song scooped the top prize. Gambino, also known as Donald Glover, also won best music video for the same song.